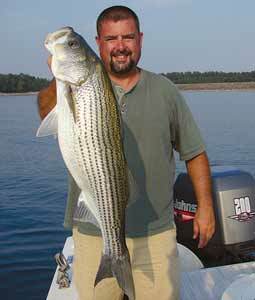 The fishing event calendar for 2015 is getting full at Lake Hartwell. I announced in an earlier note that the National Bassmaster Classic selected Lake Hartwell for their tournament in February. Just last week, American Bass Anglers, Inc. announced that the 2015 American Fishing Tour National Championship will be held at Lake Hartwell the week of October 17 - 23, 2015. Apparently others are recognizing what we have known for some time – Lake Hartwell is one of the premier fishing lakes, not just in the southeast, but in the whole country. You don’t have to convince fishing guide, Chip Hamilton, shown here with one of his smaller catches. 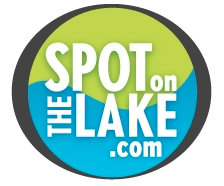 Be sure to make some time to allow us to help you find your spot on the lake.